That is what our summer has been. To get a little back story, we breed our heifers with a bull. When the heifers get to be breeding age, they are moved to a pasture with a bull in it. After a period of a few months they are moved into the dry cow lot and when they show signs of getting close to calving, “springing up” we move them to the maternity barn to freshen. Our last bull had been working for sometime when he suddenly decided to stop getting the job done! Unfortunately we didn’t notice until one day we realized that no heifers were coming fresh. By that time we were all ready 9-10 months behind schedule. So we went to work and AI bred a bunch of the heifers, and then put 3 bulls to work trying to catch up. The tidal wave hit around the end of June and is just starting to wane. 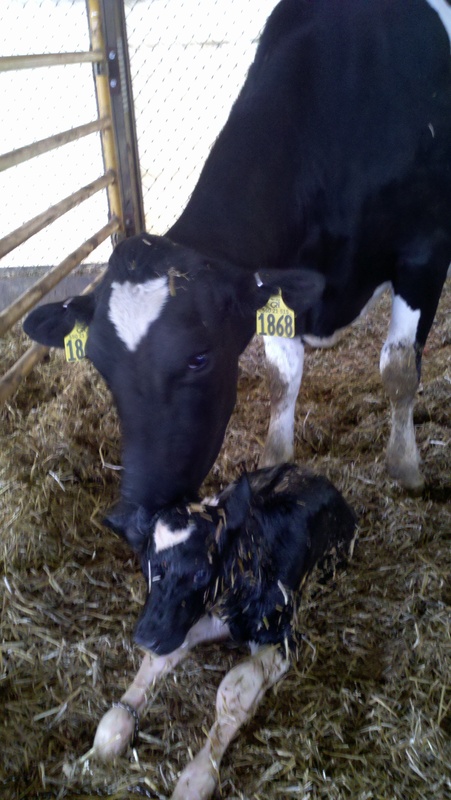 In July we had 101 calvings! 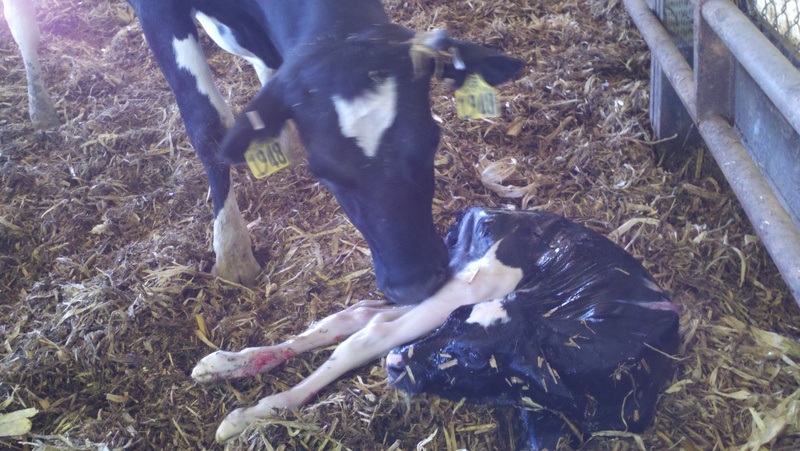 So, here are a few pictures of calvings from this summer! We were a little worried about having this many overweight heifers calving in the heat of the summer but luckily so far, thanks to a good herds-person, good nutritionist, hard work by those taking care of the animals, and good feed we have avoided major problems. And after being way down on cow numbers, the barn is now overflowing! The calves are finally slowing down, but still probably averaging two a day! 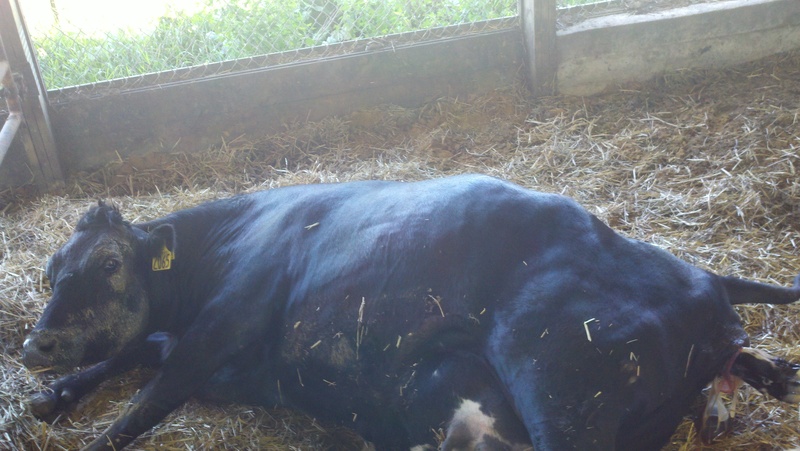 This entry was posted in Animals, General Information and tagged baby animals, baby calf, calf, cow calving, farm, farm animals, farm life, farming, Modern Agricuture, Wisconsin dairy farming. Bookmark the permalink.